The beautiful white sandy beach of Worthing offers an exciting range of water sports and activities to all visitors. Whether traveling alone or with family, Worthing car rental with us offers an ideal car hire solution suiting the requirements and budget of all travelers. Through our association with top suppliers of rental cars in Barbados, we offer several pickup and drop off locations throughout the country. Travelers can make an online booking and enjoy great discounts on all Worthing car rental deals and packages. With no hidden charges, they can also amend and cancel their bookings as per their convenience. 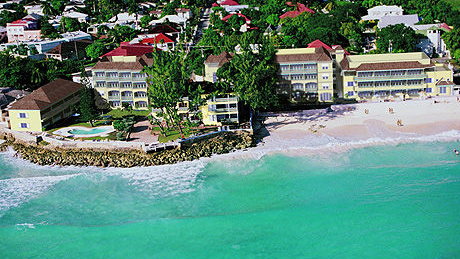 Worthing is a beautiful beach located on the south coast of Barbados. The Worthing Beach is nothing less than a heaven for all sea lovers. Near the shore lies a mesmerizing coral reef boasting amazing range of tropical fish. Travelers on family vacations with kids can enjoy swimming in the pristine waters of inside reef. As the depth of water varies from 2 - 6 ft, both children and beginners can enjoy swimming without any risk. With moving Westward along Worthing Beach, the sea becomes more exciting and vibrant. Visitors can have a pleasant evening watching the picturesque sunset at Worthing Beach. There is so much to see and so much to do at this place that renting a car in Worthing is completely worth it. Whether on a business trip or on a family vacation, Worthing Court Hotel makes a perfect accommodation option for everyone. This three star and self-catering apartment hotel is a perfect amalgamation of affordability and comfort. With 20 bedrooms on 2 floors, this hotel is located across the street that runs from Worthing Beach. Night clubbers can experience thrilling and exciting nightlife at St. Lawrence Gap, a popular street with this island's liveliest night clubs. St. Lawrence Gap is situated at 5 minutes drive from the Worthing Court Hotel. By hiring a car in Worthing with us, travelers can easily travel across all the attractive destinations near this beach at their convenience.